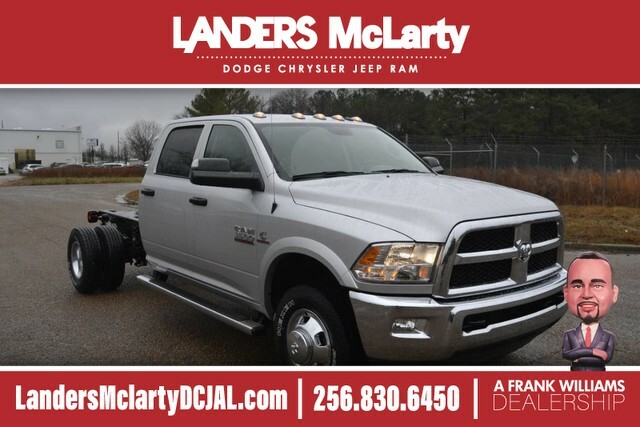 This outstanding example of a 2018 Ram 3500 Chassis Cab Tradesman is offered by Landers McLarty Huntsville Chrysler. 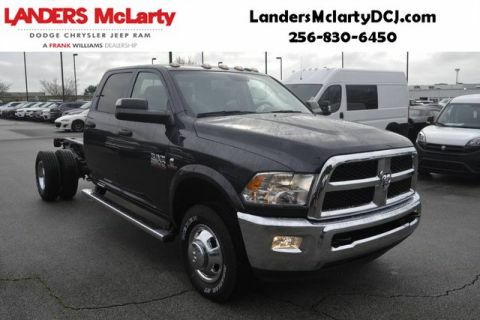 This Ram includes: CHROME APPEARANCE GROUP TRANSMISSION: 6-SPEED AUTO AISIN AS69RC HD Transmission w/Dual Shift Mode A/T 6-Speed A/T TRAILER BRAKE CONTROL BRIGHT SILVER METALLIC CLEARCOAT REMOTE KEYLESS ENTRY Power Door Locks Keyless Entry QUICK ORDER PACKAGE 29A TRADESMAN RADIO: UCONNECT 3 Satellite Radio Bluetooth Connection CHROME TUBULAR SIDE STEPS Running Boards/Side Steps BODY COLOR FENDER FLARES TIRES: LT235/80R17E OWL ON/OFF ROAD Tires - Rear All-Terrain Tires - Front All-Terrain PARKVIEW REAR BACK-UP CAMERA Back-Up Camera FRONT FOG LAMPS Fog Lamps MAX TOW PACKAGE ENGINE: 6.7L I6 CUMMINS TURBO DIESEL Diesel Fuel Tow Hooks Straight 6 Cylinder Engine Turbocharged LOW BEAM DAYTIME RUNNING HEADLAMPS Daytime Running Lights ELECTRIC SHIFT-ON-THE-FLY TRANSFER CASE *Note - For third party subscriptions or services, please contact the dealer for more information. 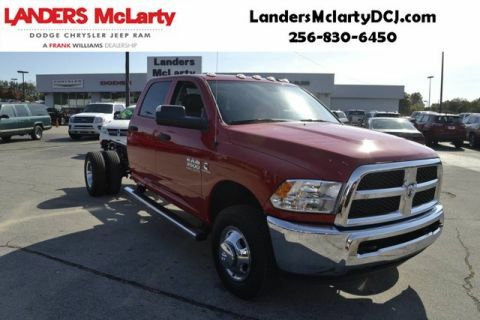 * Whether for work or play, this Ram 3500 Chassis Cab is built to handle the job. Pull up in the vehicle and the valet will want to parked on the front row. 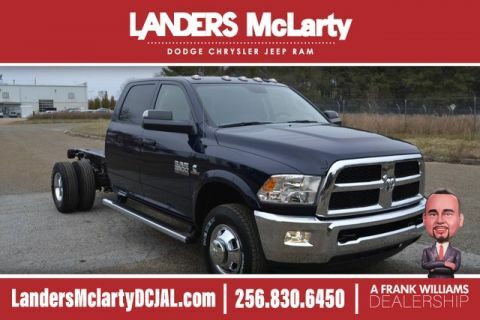 This Ram 3500 Chassis Cab is the vehicle others dream to own. Don't miss your chance to make it your new ride. This vehicle comes with 4WD for better traction on unstable surfaces, like snow and dirt to give you the edge over anything you might encounter on the road. This Vehicle Does Not Include Tax,Title, And $699 Doc Fee.